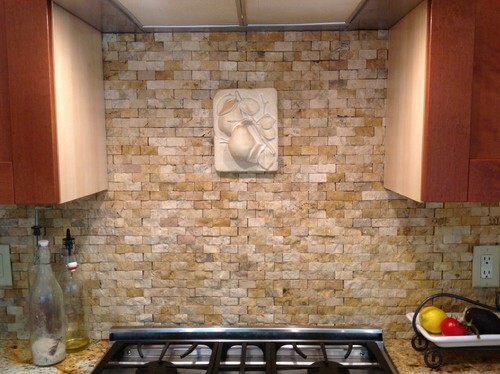 The finish of your stone surface does not have to look like everyone else’s. Sure a shiny, polished finish may be the safe way to go, but there are other finishes that produce great looking surfaces. In this post, we will take a look at eight different finishes from which to choose for your stone surface. Some of them will be a result of treatments that are applied and others will be due to the type of cut. Since there are so many options that can be chosen, which one is the right one for you or your customer? Well, each one will have a specific look that makes it stand out from the others. Yet, each will also have various strengths. So, as we take our journey through these cuts and treatments for stone, we will briefly summarize why some prefer the finish being discussed. How a stone is cut will affect how it looks. Thus, the cut is actually a type of finish. And even if you do not consider it a finish, it is obvious that the cut will at least affect the finish of the stone. As a result, we will start off with a few cuts that might rank high on your list of choices. The first finish we will consider from the “cut” finish group is the split face finish. This finish is produced either by hand or by a machine. The split face finish looks as if it was broken off a larger rock. It is primitive in appearance and if you or your customer lean towards rustic designs, this might be the finish the one to select. When a stone is cut against the bedding, it produces a surface in which the plane is revealed. As a result, the stone shows a magnificent linear pattern. This distinctive cut can add character as well. And although it looks different from a split face cut, it has a rustic look as well. This kind of cut finish is often described as the opposite of the vein cut. It too is a slice from a block, but it is cut the opposite way. Cutting natural stone parallel to the bedding plane produces a pattern that is less linear and more circular (or wavy as described by some people). The appearance thus looks “flowery” and less linear. Again though, like the other two types of cut finishes mentioned earlier, this cut is rustic looking. 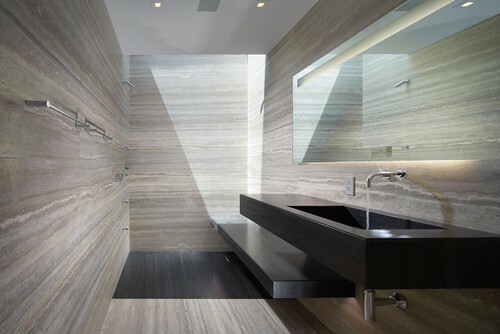 Polished natural stone surfaces are shiny or glossy in appearance and are a very common type of finish. 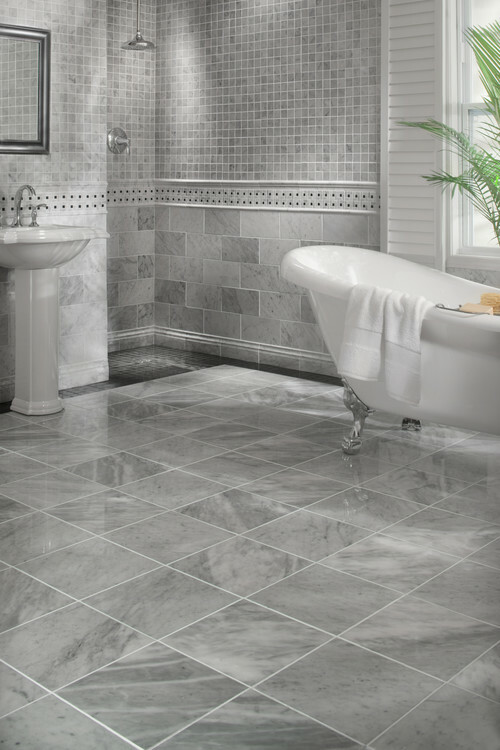 The polished stone finish is created using stone polishing pads to give the surface a luster. 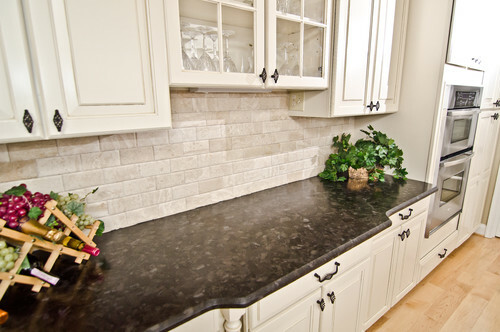 The luster on the stone’s surface is desirable by many. Yet, it can require some additional consideration too. For example, maintaining the gloss means cleaning the surface with a streak-free cleaner so that it does not lose its natural impact. If you like a clean, shiny surface then polished might just be the way to go. 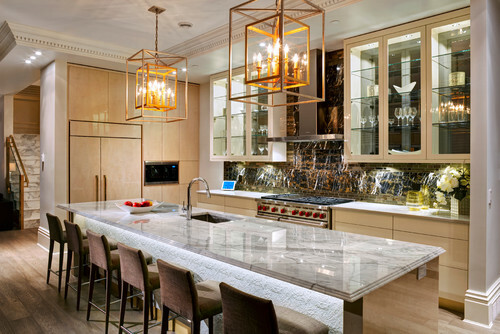 Honed finishes are another popular look that many people choose to go with for stone surfaces. A honed stone is a matte (or unpolished) surface. So, if the stone has a naturally dull appearance, it is only semi-polished and if the kind of stone has a naturally glossy surface like marble does, then the polish is removed through the honing process. There are some characteristics of a honed finish that we should mention here. One quality that becomes apparent when a stone is honed is that the color is slightly lighter. Another is that the surface looks more natural than say, a polished finish. Finally, a honed stone is generally more porous than the same stone would be if it were polished. Like polished finishes, stone with a honed finish brings some specific care requirements, so if you plan on going with a honed finish, be sure to get the care and maintenance information from your supplier or installer before your first use. A flamed stone surface is very rough and natural looking. The surface is textured more than other treatments that we have discussed in this post. The process consists of exposing the surface of the stone to intense heat by means of a flame. The heat from the flame cause the mineral crystals to come out of the stone. The result is a rough finish with a dull appearance. 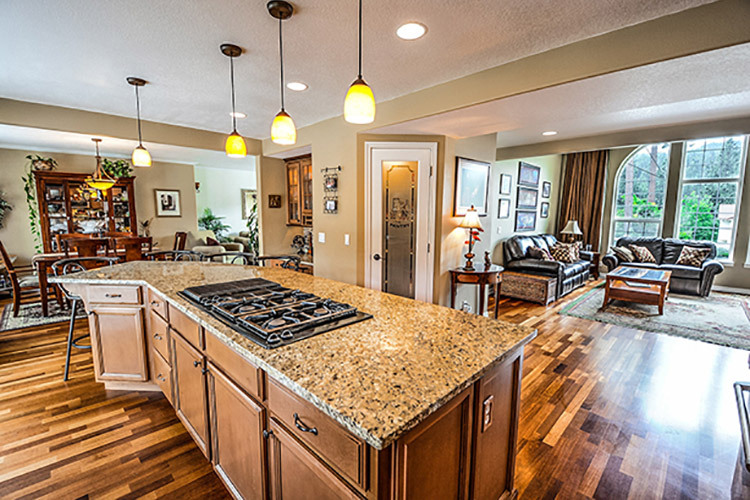 The above uses for flamed granite are a good fit because surfaces that are often wet, need to be textured and since flamed granite is textured, it is resistant to becoming slippery. Due to the fact that the aforementioned surfaces are walking surfaces, it makes sense to use a flamed surface for slip resistance. A sandblasted finish is another finish that is textured – or rough – and like the other finishes of this type, a sandblasted surface is often seen in outdoor environments like the flamed finish mentioned earlier. In fact, memorial stones often have a sandblasted finish as done granite wall cladding. To round out our discussion of natural stone finishes we will briefly consider antique finished stone. This finish is produced by using a mild abrasive brush to remove material that is softer while leaving the harder material on the stone. The antique (a.k.a. leather) finish has a rustic look and is growing in popularity. So that wraps up our discussion of eight finishes that you can choose to have on your natural stone surface. As we have discussed, there are some of these finishes work well for specific uses. Furthermore, there are others that are more common than the rest. 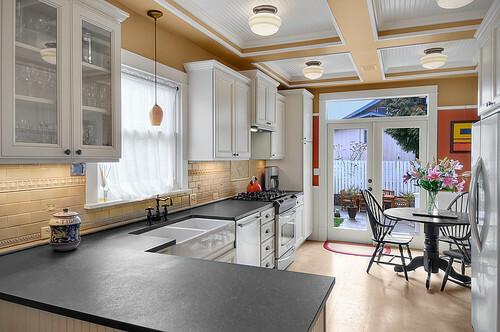 Whichever one you select though you can be sure that it will add a distinct look to your project.